Back in November, we wrote about the security risk of being a small business and taking time away from the office. 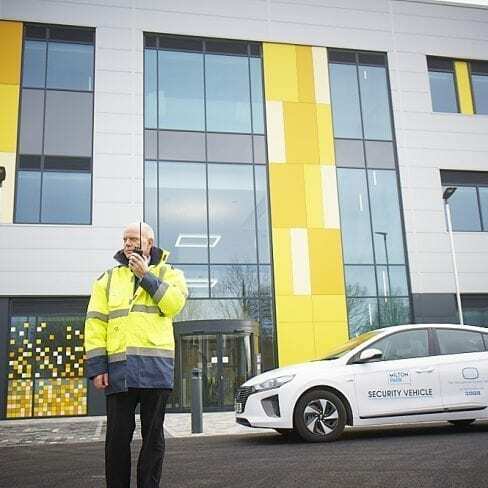 It was suggested that sometimes you need an increased level of security, but not always a full-on 24/7 security service such as our combined security services. So where is the compromise, and what alternatives are out there? Proven as an excellent security deterrent, guard dogs have a heightened sense of sight and hearing, which provides an early detection system for the dog handlers and aids in the prevention of crime. This service is perfect for large, open sites that are unpopulated, with dogs and their handlers often deployed at night. Guard dog handlers and owners are subject to various laws for the protection of themselves, third parties and for the dogs themselves. The law relating to keeping guard dogs is contained in section 1 of the Guard Dogs Act 1975, the Animals Act 1971 and in the common law. Breach of the 1975 Act is a criminal offence. Any offender can be prosecuted and fined up to £5,000. A guard dog is defined in Section 7 of the 1975 Act as being “a dog who is being used to protect premises, or property kept on the premises; or a person guarding the premises or such property”. The Guard Dogs Act 1975 Section 1 forbids the employment of a guard dog on any premises unless there is a Dog Handler capable of controlling the dog on the locality and the dog is under the control of the handler at all times. The only exception is where the dog is secured so that it cannot go freely about the premises; or where another dog handler has control. The Act does, however, state that any premises with a guard dog or a dog handler present must make it clear that they are there by having a notice located at each entrance. 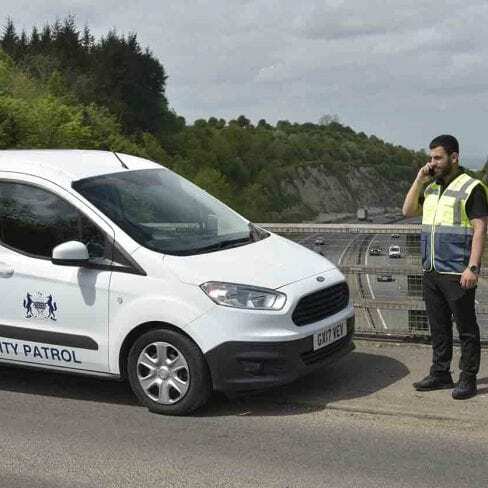 Our dog handler units are an extremely high visual deterrent and provide an excellent means of detection and deterrent than other forms of security are simply unable to provide. Security dogs are trained in article tracking, building searches, find and locate and handler protection, making them an outstanding feature on any assignment. What does the law mean by ‘notice’? The Act requires that a ‘warning notice’ is clearly present and displayed at each ‘entrance’ to the premises, however, the meaning of ‘entrance’ is not defined. This is something of a legal loophole in the system. For example, a hole in a perimeter fence may not be deemed an entrance, but if someone can get in through it and no sign is displayed, you may be liable. If there is no warning notice displayed there, a criminal offence has potentially been committed. In addition to the above, the common law imposes civil liability for negligence on someone responsible for the personal injury, death, and or damage caused to someone else by their guard dog. If you own a guard dog which causes injury or harm to someone to whom you owed a duty of care, a claim can be made against you for compensation. If you are thinking of guard dogs to protect your property or site, the law can be confusing so make sure you research it well. Alternatively, get in touch with us today at RISK Management Security Services and let our expert management team help take the stress out. Risk Management Security Services is able to provide professional dog handlers for various applications where an increased level of security presence is required. We identify and analyse the security risk and design a solution that is fit for purpose and best suited for the environment that our security teams will be working within.